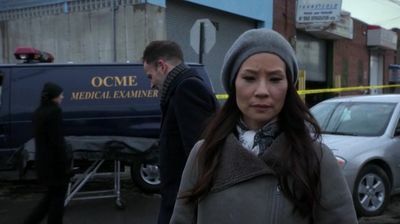 Holmes and Watson investigate a murder that initially looks like a road rage incident, but takes a new direction when they learn the victim was flash-frozen at the time of death. Also, when Watson's mother finds out Joan's brother is cheating on his wife, she puts Joan in the awkward position of confronting him about the affair. as Dr. Eugene Hawes, M.E.